With a Royal Wedding about to take place what better day to raise a toast to all newly weds past, present and future. 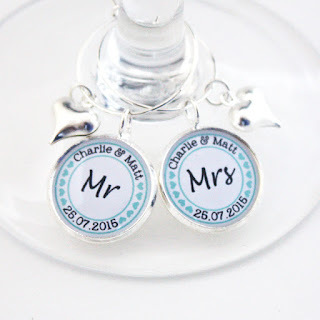 Perfect for the toast are these Mr & Mrs wine glass charms available on NOTHS They can be fully personalised with the names of the happy couple and date of marriage (a perfect reminder for future anniversaries) and come in a little sliding lid tin to keep them safe after the wedding. They make a lovely present for the bride & groom or as a finishing touch to the top table on the actual day. 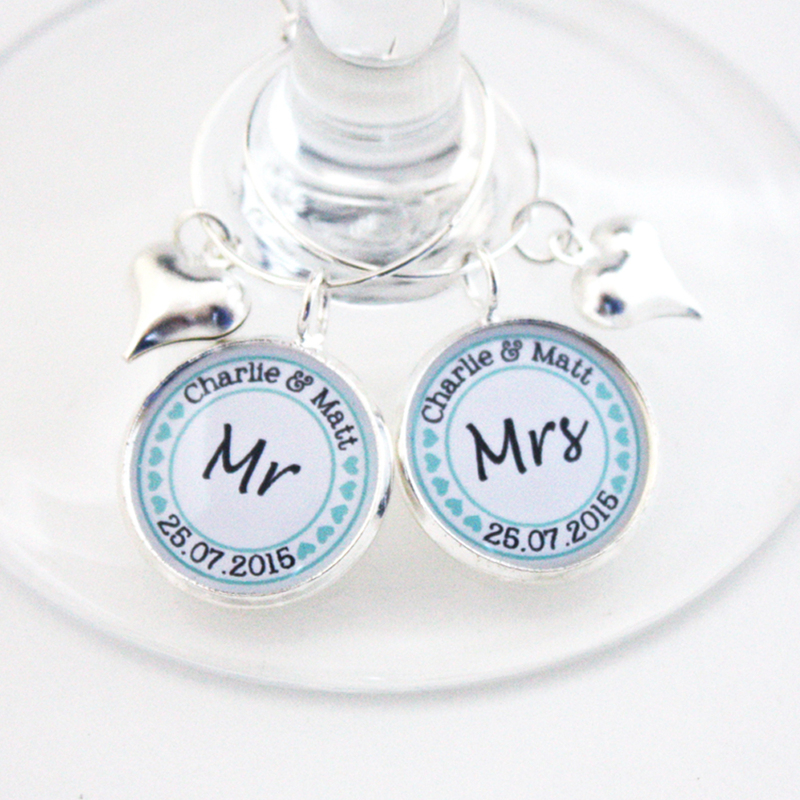 (Other personalised top table and guest wine glass charms also available).